Ads in between any YouTube video irritates the viewer. On the other hand, we wish to watch videos without any disturbance. Hence, some viewers are even willing to pay to get away from these ads. For such users, YouTube Red is a good option. The Red is a subscription-based service, which allows the user to watch ad-free content. However, YouTube is inaccessible in certain countries due to government restrictions. Have you been in such a situation? Have you ever unblocked YouTube? Le VPN allows you to unblock YouTube easily. A VPN or Virtual Private Network allows you to stay unknown while surfing the internet. It’s not tough to understand what is a VPN. If you want to bypass geo-restrictions, opt for Le VPN. Firstly, the VPN keeps your IP hidden. To have the seamless web surfing experience, subscribe to Le VPN. YouTube is now ready to expand its Red services to around 100 countries. In 2015, Red came into being as a replacement to Google Music Key. In the beginning, the user was to pay a $9.99 subscription. If users do not want to spend, they will have to go through ads while watching any video. Are you facing trouble to access the Youtube in your country? Try unblocked YouTube with Le VPN. It is very annoying if you move to a new country, and your favorite YouTube is inaccessible. Therefore, opt for Le VPN for unblocked YouTube. With Le VPN, you get a private and secure connection to the internet. No third party can track or block your browsing activity. 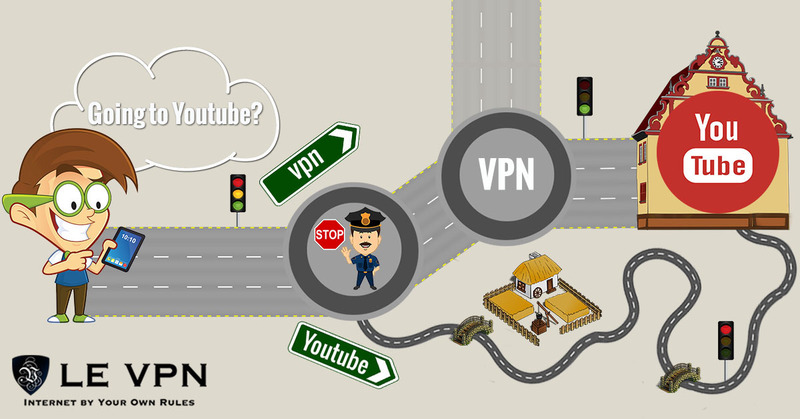 Since your activity flows through a Le VPN IP address, you can continue using the unblocked YouTube anonymously. Le VPN has above 800 servers in 114 countries. Moreover, Le VPN is among the reliable VPN service provider when it comes to unblocked YouTube. Not only YouTube, but you can also unblock any website that is not accessible at your place. Nobody would want to have ads popping up that spoils the overall fun. Severs in 114 countries: ensures that you can get connected from almost anywhere! Le VPN is also affordable. Subscribe to Le VPN from $4.95/month.